Lance’s Carpet, Windows & Tile Cleaning conducts the majority of business in the heart of Paso Robles. Paso Robles is a beautiful town with many great people we have worked for. Our goal is to always leave every client with a clean carpet and feel a job was well done. 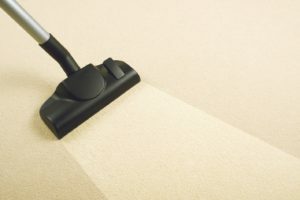 Do you need a carpet cleaning in Paso Robles by a professional who will always follow through with the highest level of service to ensure your needs are met? If so, you have found a great company that will suit your needs. Lance’s Carpet, Windows & Tile Cleaning offers wonderful service at an affordable price. You can feel comfortable knowing your carpet stains will be removed with the greatest of care. Lance’s Carpet, Windows & Tile Cleaning has made clients happy for over 7 years by always going above and beyond to exceed expectations. Arriving on time in a clean and professional manner, Lance’s Carpet, Windows & Tile Cleaning will enhance your carpets, windows, and tile to a fresh and vibrant state. You are in good hands that take care of your surfaces as well as your valuables. Your personal items that are valuable will be safe at all times. Taking pride in a job well done is what sets Lance’s Carpet, Windows & Tile Cleaning apart from other Central Coast and Paso Robles carpet cleaning companies. Lance’s Carpet, Windows & Tile Cleaning can handle many levels of cleaning projects, from larger homes, smaller homes, and more. Taking the time to do a very professional job, leaves customers satisfied with the results. will live up to their motto, “I go above and beyond expectations, because your business matters.” Lance’s Carpet Cleaning is listed as one of the Best Carpet Cleaners in Paso Robles by the Paso Robles Daily News. Lance Clairmont, a resident of Paso Robles, CA, is the owner and operator of Lance’s Carpet, Windows & Tile Cleaning. His company provides professional carpet cleaning services to Paso Robles, Atascadero, Templeton and all of North San Luis Obispo County. His service area includes all the homes and businesses around Paso Robles. Some of the most common stains found in carpets are protein stains, water-based, or a combination of water-based and oil or a combination with protein stains. These instances of stains are grouped together, because they all require a similar type of stain remover to be successful in their removal. Generally, water-based stains can come from items such as food, liquor, beer, soft drinks, jelly, syrup, latex paint, and even just dirt being dragged into an area. Of course, there are many more types of items that can cause stains. Other combinations that have oil and water-based items in them can be oily food types, chocolate, salad dressing, and other items. Milk products, ice cream, grass, blood, and many other food items fall under the category of protein stains. Grease and oil-based carpet stains can be difficult to remove and sometimes impossible with over the counter stain removal items. This is because most stain removers bought over the counter are not designed to handle these type of stains. Butter, cosmetics, polish, glues, grease, gum, lotions, lipstick, canola oil, peanut butter, waxes, tars, and many other oil based products are included in oil based stains. Beverages, medications, and foods that contain dye, which can permanently stain the fibers of your carpet. It is important that you contact us immediately to help remove this type of stain. If you wait to long, there is no hope to remove dye or fruit juice stains from the carpet fibers. You may have heard the word “tannins” when talking about wine, however coffee and tea also contain these tannins. Tannins can leave a yellow, tan, or brown discoloration in your carpet. There are over the counter tea and coffee removers, but they don’t always get the job done. We can help you remove these stains completely. If you’ve had a pet that has made a “boo boo” on your carpet, you know this one very well. 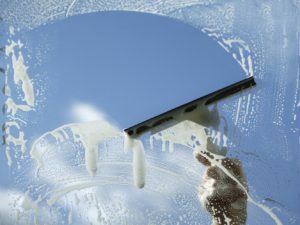 Many times the pet owner isn’t only left with cleaning up the surface mess, but a strong odor is also present. Vomit is also another problem that can arise from being a pet owner. We can handle any and all of your needs. 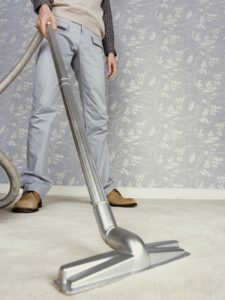 Paso Robles carpet cleaning and throughout the Central Coast. We’ll get the job done right!